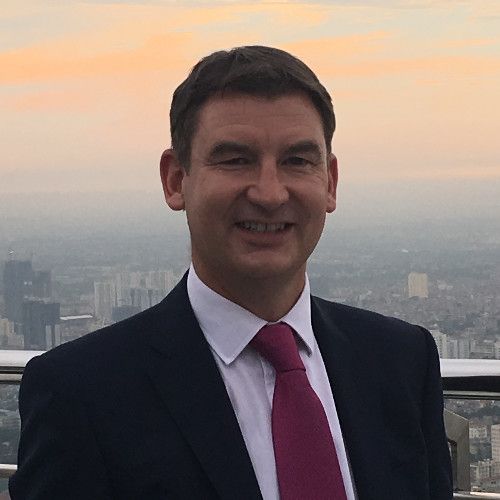 Ian Cogswell has almost 25 years' Corporate & Investment banking experience, gained at Lloyds Bank (1994 - 1999), IBJ/Mizuho (2000 - 2006), and NATIXIS (2006 - 2018). He has specialised in Project Finance for over 20 years and the oil & gas sector since 2002. Within his most recent role at NATIXIS, he was responsible for establishing the bank's global strategy for the FPSO sector; coordinating the origination and execution of transactions; maintaining relationships with all of the leading clients in the industry; and supervising the execution of transactions on which the bank is mandated. Ian holds a BA (Hons) in Economics and an MSc in Civil Engineering, both from the University of Newcastle upon Tyne, UK. He has qualified as a Member of both the Chartered Institute of Bankers and the Association of Corporate Treasurers. 4:50 PM Financier’s Panel Making the Project Economics Work – What Keeps Financiers Awake at Night? Analysing current and emerging innovative schemes, and alternative funding models – Are we approaching financing the right way? Which models are most conducive?